In a plan only for teenagers, college students, and people who just won't sleep for more than 24 hours is the The Ultimate Marvel Marathon. All eleven Marvel cinematic universe films in one sitting, starting on a Wednesday night, April 29. You won't be done until Friday night. You've just missed two days of school and/or work. Why not start on Friday night, thus eliminating the problem. Shut up, that's why! It's f*cking ridiculous, but hey, if you want to spend $65 it's up to you. You'll see every film in chronlogical order including the new Avengers: Age of Ultron film. But wait, there's more! For those going to Regal, you'll get an exclusive collectible medallion. 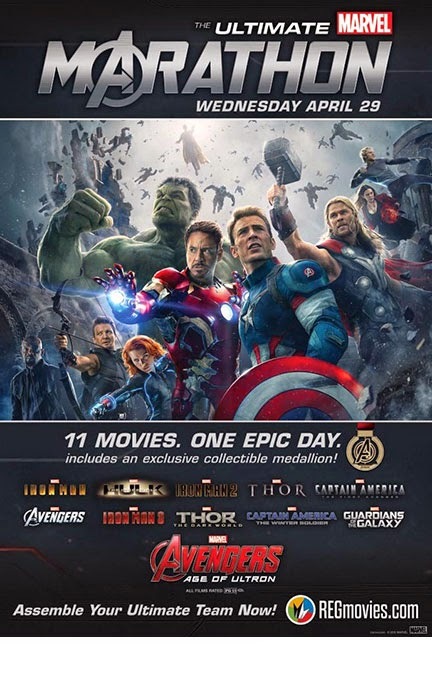 Marathoners can also purchase a limited edition Avengers collectors cup for $7.75, which unlocks unlimited free refills throughout the event at Regal. *The Avenger medallion does look cool though. 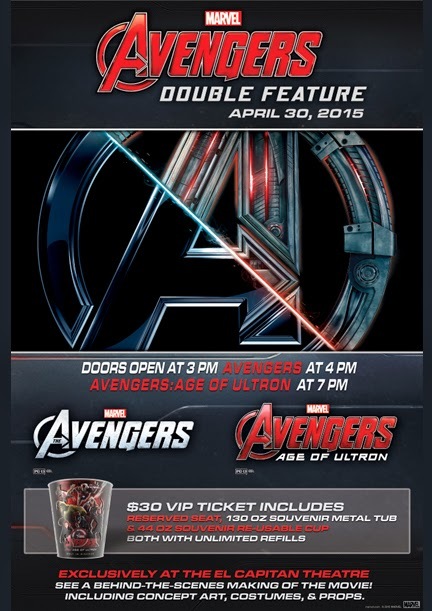 The much better and sane deal seems to be a simple double feature of the Avengers films staring Thursday, April 29. Update: The El Capitan also has a double feature deal.